James B. Fairbanks - Treece Alfrey Musat P.C. Mr. Fairbanks graduated from Adams State College in 1990 and the University of Colorado School of Law in 1993. Mr. Fairbanks has worked at TAM since 1997, and has been a shareholder since 2001. Mr. Fairbanks has a broad base of litigation experience, including domestic relations and criminal defense. 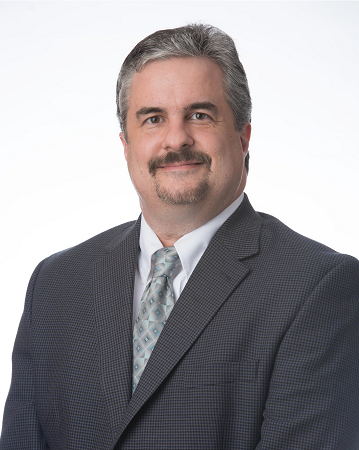 Mr. Fairbanks’ current practice includes defense of employers in all employment-related claims, worker’s compensation defense, professional malpractice defense, subrogation, and general liability defense. He is a member of the American, Colorado, and Denver Bar Associations, the Defense Research Institute and the Colorado Defense Lawyers Association. Mr. Fairbanks heads up the TAM workers’ compensation department. He has defended many different carriers and employers against a variety of industrial claims. He also counsels various carriers on components of bad faith insurance practices as it pertains to the handling of workers’ compensation claims. Mr. Fairbanks has appeared in over 300 administrative hearings and has successfully tried cases to jury in venues across Colorado. He has several reported cases at the appellate level. Mr. Fairbanks enjoys instructing at Continuing Legal Education seminars and volunteering as a judge for moot court. Mr. Fairbanks also very much enjoys the Denver Nuggets, wine, movies, his son’s youth hockey, and travel.